I was in Honolulu this week. It’s completely a private trip. 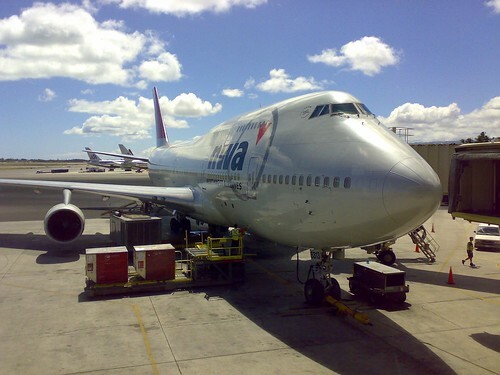 I had 40,000 miles of my Northwest WorldPerks mileage program, which was enough for trip from Tokyo to Hawaii. 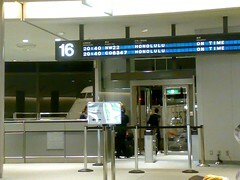 It was my first time to go on a visit to Hawaii. When I was a small child, going to Hawaii was a prize beyond people’s reach. Since Japanese Yen was very weak (1$=over 250JPY!) and an airfare was very high twenty years ago, it was only rich people or first-prize winners of a quiz TV program that could trip to Hawaii. 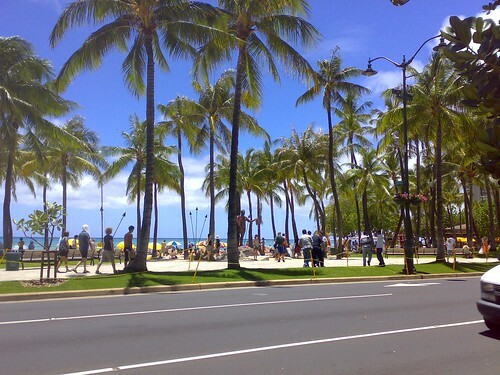 For the common people like us, Hawaii was just a dream. But today, almost everybody in Japan can fly to Hawaii for spending just a few hundred dollars of airfare, or for redeeming frequent flyer’s mileage program. Thanks god. 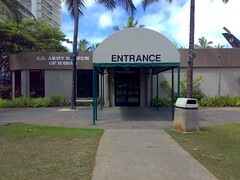 One of the purposes of visiting Hawaii was to open my bank accounts in Hawaii. 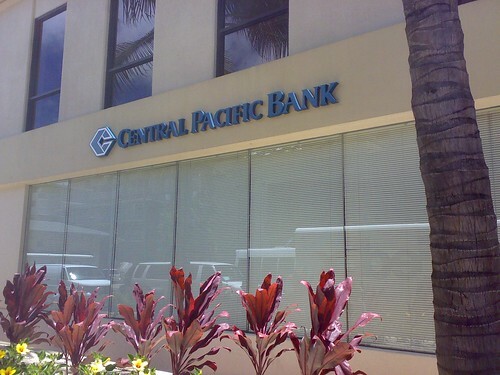 Many banks of Hawaii allow non-US citizens to have their bank accounts by simple procedures, while most other US banks require a social security number to open accounts. To have US bank accounts brings me many benefits. They allow you to keep money in US dollars, which is much safer and stabler than Japanese Yen. Their savings accounts and CDs have higher interest rates than those in Japan, and their checking accounts allow you to issue checks for payment for services in the United States. Central Pacific Bank seemed to be very popular among many Japanese people. When I entered the door of this bank and told a bank clerk that I wanted to open bank accounts, she told me to sign up in the waiting list and wait for a while. 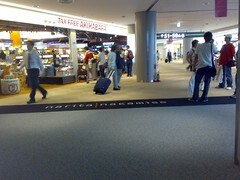 The waiting list had many Japanese names signed up already. Guests waiting in the lobby were all Japanese. Account opening was very easy, by showing my passport and handing in a few simple documents (application forms and W8-BEN, a tax exempt application form for those who aren’t live within the US). 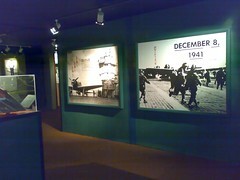 Almost all of the staff members were Japanese or Japanese-Americans, and Japanese language was available in every situation. I opened a CD, a savings account and a checking account and deposited some money. 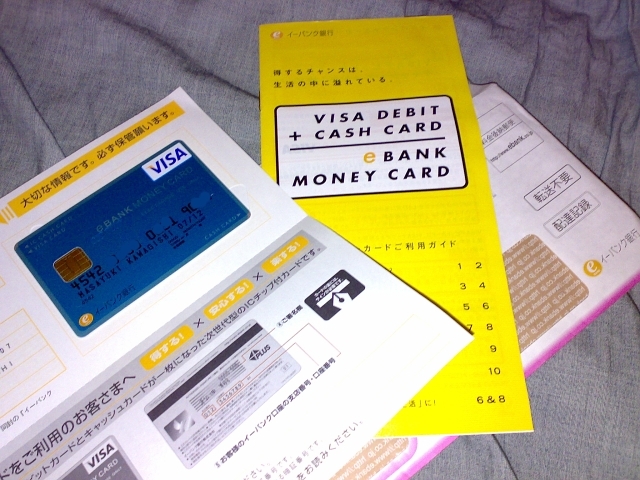 It was told that an ATM card and checkbooks were going to be sent to me several weeks later. 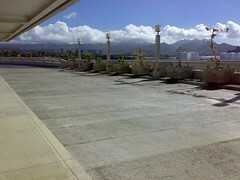 After opening accounts, I visited a few sightseeing spots of Honolulu. 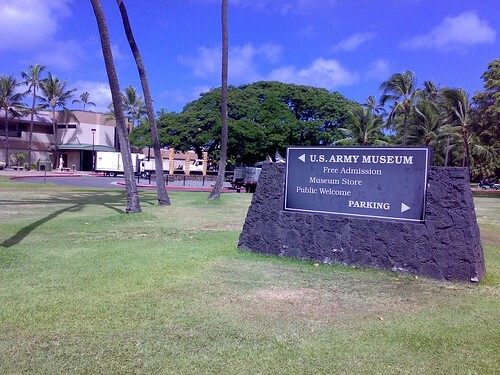 Hawaii is one of tactically and historically important locations of US military sites, and Americans are proud of Hawaiian US forces. 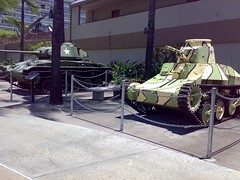 US Army Museum, near the Waikiki beach, showed various kinds of displays, ranging from the history of US military forces in Hawaii to the Pearl Harbor attack, Korean and Vietnam wars, and distinguished services by Eric Shinseki, a Hawaiian-born Japanese-American who became the first Chief of Staff of the US Army. Pearl Harbor was also a big sightseeing spot in Hawaii. 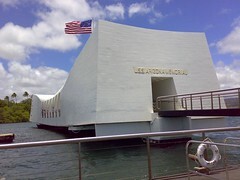 USS Arizona Memorial, Submarine Bowfin Museum, USS Missouri Museum, and Aviation Museum were collected in one place, and they were repeatedly appealing how bravely American soldiers had fought against Japanese aircrafts that had suddenly attacked Pearl Harbor. 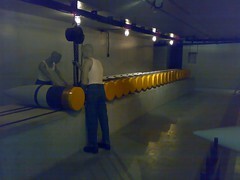 The Instrument of Surrender on USS Missouri impressed me very much. It’s a symbol of the change of Japan from the militaristic country to democratic one. 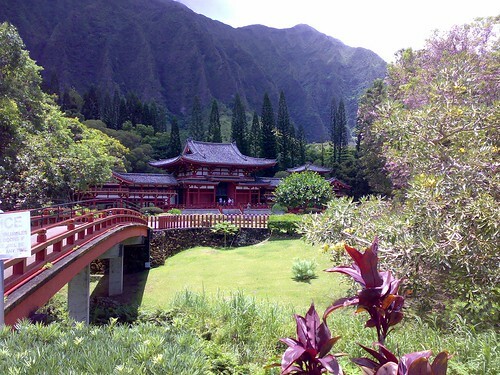 In addition to places showing American’s bravery, beautiful Japanese traditional buildings were also Hawaii’s wonderful sightseeing places. 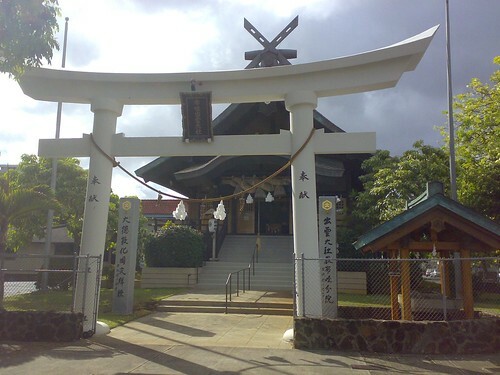 Many Japanese people immigrated into Hawaii in the 19th century, and they built shrines and temples there for their religious symbols. Today they are often used for a wedding ceremony for Japanese-Americans. All visitors were neither Japanese nor Japanese-Americans when I visited the shrine and the temple, but they seemed to be fascinated with the "oriental mystery" from the Torii or the Buddha. The six day trip to Hawaii was really exciting. 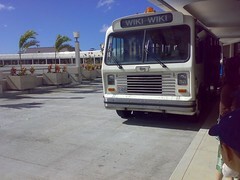 I got many American products for my daily use at Wal-Mart or ABC stores or a local supermarket in Kaneohe. Some products were almost the same as what I used in Japan, and some were a bit different. 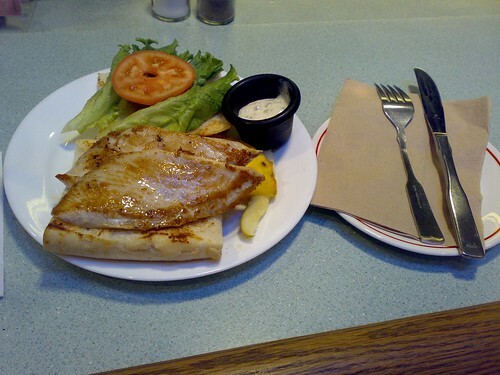 Anyway, I really enjoyed America, American food, American products, and American culture. I want to be there again next year, and some day I want to move and live there after I retire.